Recently, Netflix has adopted an approach to producing original content that involves making as many things as possible and releasing them all at once, resulting in a flood of movies, TV shows, and stand-up specials that can be pretty hard to keep up with—especially when every episode of Friends is just right there. Unfortunately, this shotgun strategy might not be working as well as Netflix would hope, as The Wrap is reporting that the streaming service fell short of its estimates for subscriber growth over the past three months by a full million users. 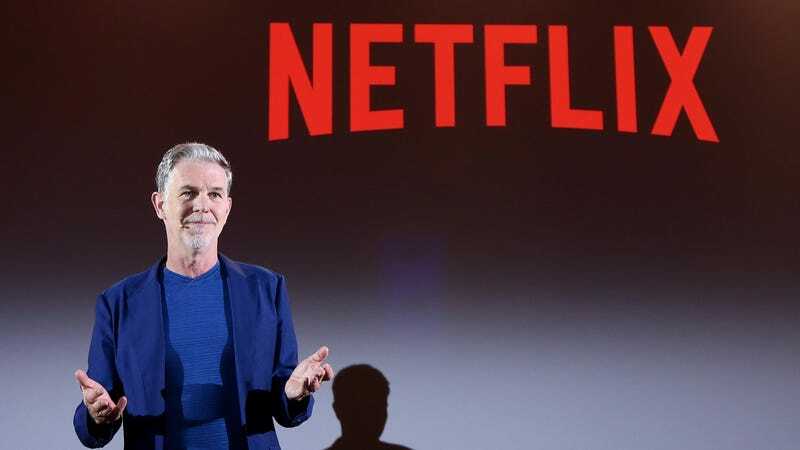 Netflix was expected to add 6.2 million new customers in the second quarter of the year, but it only managed to rope in about 5.2 million. That’s still a ton of people, but the important thing to stockholders is that it’s a lot lower than what was projected, so Netflix’s stock dipped by 14 percent after those numbers were announced. This is the also the first time Netflix has failed to meet its subscriber estimate since the beginning of last year, which is bad, but it also tends to happen once every few quarters. The Wrap suggests that this could be the beginning of Netflix hitting a “saturation point,” where so many people already have Netflix that the subscriber numbers can’t really go any higher. It’s probably too early to say if that’s happening, but Netflix is at least being very optimistic. As reported by Deadline, Netflix CEO Reed Hastings said in a statement that the company’s “fundamentals have never been stronger.” He also noted that they’ve seen dips like this in the past that they “never did find an explanation” for, so it looks like we can just chalk this up to the mysteries of the universe and not any kind of inherent problem with the way Netflix is running things—although it is Hastings’ job to tell everyone that things are going fine, so maybe you shouldn’t trust him.